Premierleague.com asked pundits from different broadcasters for their predictions for 2017/18. Former Wimbledon star Robbie Earle, now working for NBC Sports' Premier League coverage, reveals his picks. What is your top four in order? 1 Manchester City will be champions. The combination of the quality of team and the quality of the manager, and a year spent getting to know the league for Pep Guardiola does it for me. 2 Next will be Manchester United, who despite a frustrating transfer window have a 20-goal striker in Romelu Lukaku, Nemanja Matic to anchor the midfield and competition in defence. Jose Mourinho knows how to get the job done, and Zlatan Ibrahimovic may even be back! 3 Third will be Chelsea after a summer the Blues would not have wanted. There will be pressure on Alvaro Morata to deliver the goals and the spirit of John Terry will be absent from Stamford Bridge. 4 Arsenal will finish fourth, thanks finally to the signing of a possible 20-goal-a-season striker in Alexandre Lacazette, Mesut Ozil and Alexis Sanchez both staying and a more resolute Arsene Wenger stung by last season’s criticism. Liverpool will miss out on the top four. If we are talking the best XI who could play every game, I like what Liverpool offer. But the depth to Jurgen Klopp’s squad and the possible UEFA Champions League participation worry me. Which promoted team will fare best? Newcastle United will finish highest thanks to their recent top-flight experience, which is more than both of the other teams who are there for the first time. In Rafael Benitez Newcastle have a tremendously experienced boss who knows his way around the league and has great respect in the game. If necessary, they can spend big in the winter window if things are not going to plan. I feel the surprise team this year could be AFC Bournemouth, who have stayed up for two seasons in the league and are well placed to push on. This will go to Man Utd’s Lukaku. Which signing will have the biggest impact? Which new signing are you most excited to see? Morata interests me at Chelsea, seeing whether he can fill the big boots of Diego Costa and produce the performances and the goals in the Premier League. There’s a lot of pressure on the club-record signing who is still 24, and got 15 goals in 26 LaLiga performances last season. Young player of the season? 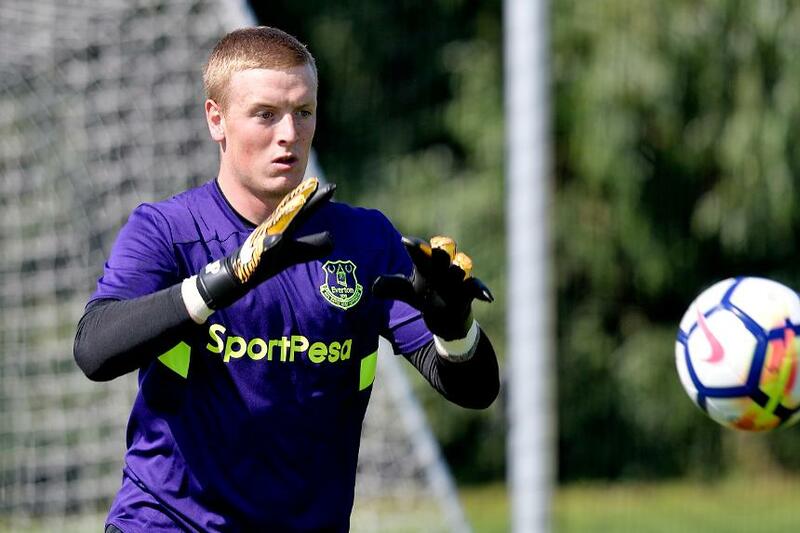 I’m expecting really big things of Everton’s Jordan Pickford, signed from Sunderland and a mainstay of the England Under-21 set-up. Pickford seems to have it all and has the ability to launch counter-attacks with his range of kicking out of his hands. Destined to be England's No 1 soon, Pickford could show this season he’s the main man for many years to come. Robbie Earle will be pitchside when NBC Sports kicks off its 2017/18 Premier League coverage with Arsenal v Leicester City, which will be livestreamed on NBCSports.com and the NBC Sports app.